I'd like to share some Etsy finds with you, starting with a seller I found simply by searching for "nail polish" in Etsy's engine: Utopia Bows. When I first discovered the site, it was about 90/10...dog bows. Yep...Virginia, the shop's owner, also specializes in the production of handmade dog bows. Hold your hesitation until the end of the show though. There's an awfully tempting swatch that may change your mind. I layered one of Utopia Bow's polishes, Pop Art over Dream, a Savina polish. Two things should be said about my experience with these two polishes. First, I bought Pop Art one morning using the Etsy app. Obviously, the phone's text size is much smaller than my laptop's. So when I bought it, I mistakenly thought it was called Pop Tart, which is why one of the first color combinations I got in my head was the color of the Pop-Tarts' frosting. Secondly, Dream looks way different against a background that's not itself. That is to say, the pigments as they appear all together in the bottle are a much happier, neon purple, closer to this shot. 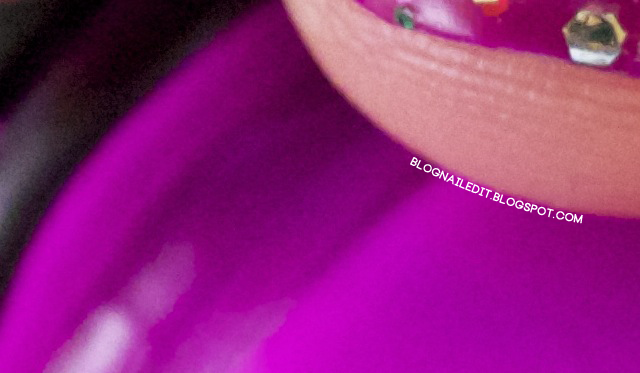 The pigments, once applied to bare nail color, become less neon. Ultimately, the colors didn't transcend my train of thought onto my ten little canvases as I had envisioned, but they don't look unattractive together. Pop Art was a little thick to work with. I added some clear polish in the hopes of evening out the ratio of glitter to base, so we'll see if that makes a difference. If not, I don't regret buying it. 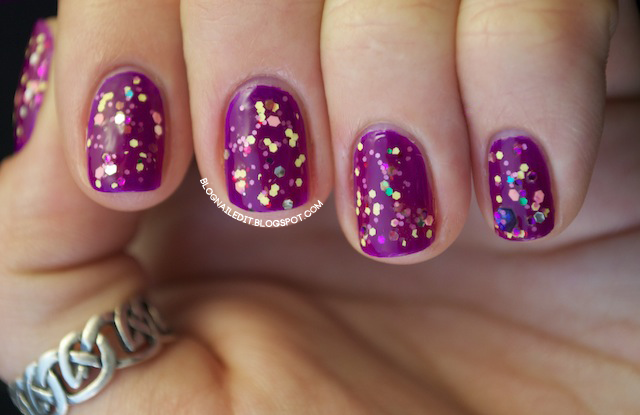 The glitter colors are interesting, with the yellow, pinks and even greens. The various sizes of glitter are also what attracted me to it in the first place (see my pinker finger). WOW this is stunning! I love it!